The Asus C101PA is supposedly able to bring out its UART via a specially-made USB-C cable. Google’s WWW offers a “WinAmp playlist”-style taunting mention of this magical cable, but no schematics or even any info whatsoever regarding pinout. 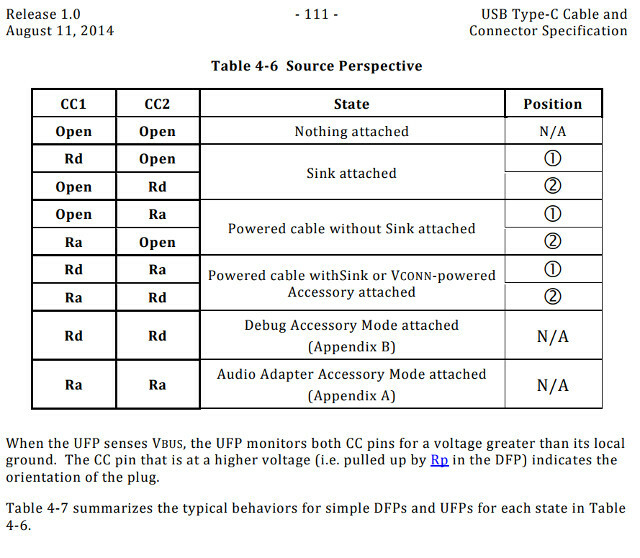 A few folks on the Net hint at the possible use in this device of something called “debug accessory mode”, a feature of the USB-C standard. 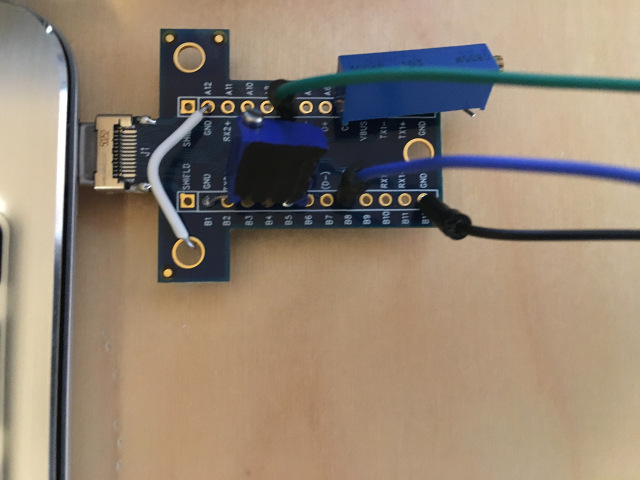 Theoretically a UART should appear on SBU1 and SBU2 “side band” contacts given by the USB-C expander board. But in actual practice — no dice. Logic analyzer shows a burst of something vaguely UART-like on SBU1, but only when the plug is inserted (and not, e.g., on boot, which is where one actually needs the debug UART!) And this vaguely UART-like signal, is not Rockchip’s 1500000-baud TTY (logic analyzer shows missing stop bits regardless of what baud rate is picked.) And throwing bytes into /dev/ttyS2 (Rockchip UART under the sad Chromebook linux) has no effect on SBU1/SBU2. Nothing interesting happens on reset, either. Dear reader, do you know the secret of Google’s “Suzy-Q” (aka “Debug Accessory Mode”) magic cable? If you do — tell me! This entry was written by Stanislav , posted on Wednesday June 06 2018 , filed under Cold Air, Hardware, NonLoper, Photo, Reversing, SoftwareSucks . Bookmark the permalink . Post a comment below or leave a trackback: Trackback URL. 58 xor 111 = ?